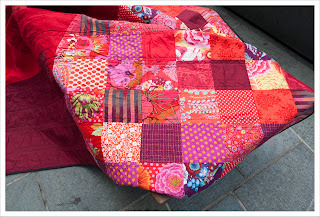 Last year I thought all the while the great blogger's quilt festival was going on at Amy's Creative Side that I should write an entry but I missed the deadline and decided I would make more of an effort this year. 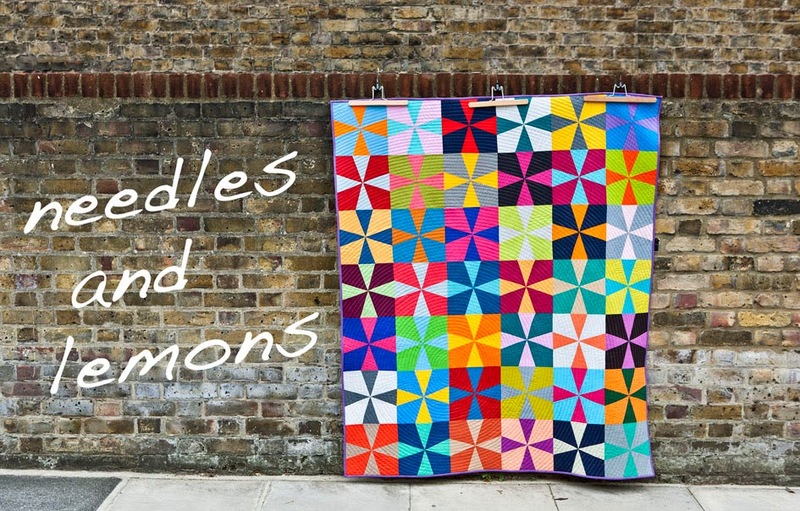 Well, the deadline is looming and before it passes me by yet again I'll quickly add my entry to the wonderful quilts that have already been entered. 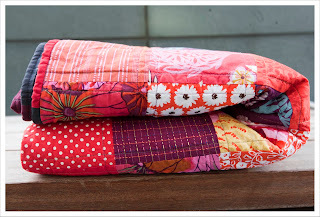 Looking back over the year I am surprised how many quilt I have finished and debated a while which one to pick and in the end picked the one that I consider my biggest achievement this year. 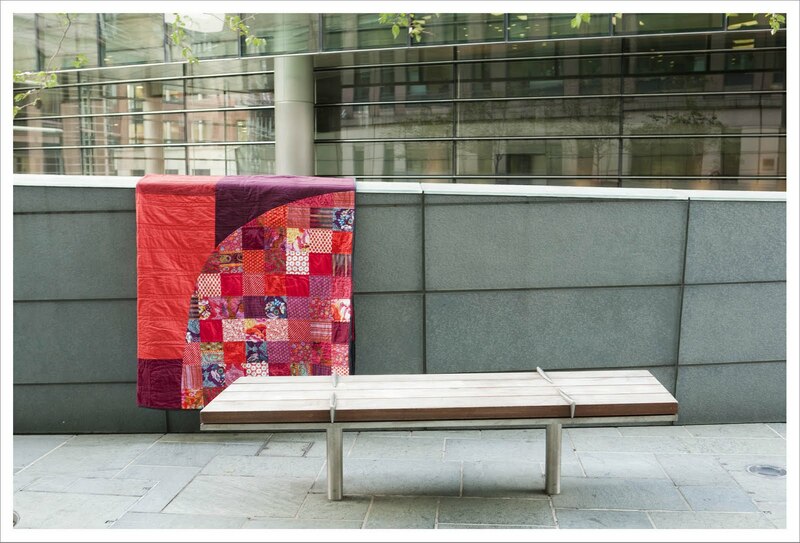 The quilt I am referring to is the 'Verry Berry' commission that I got from my friends Mica and Claire. They put faith in me to make them a monster sized quilt that must serve the dual purpose of covering up a very ugly sofa and be big enough to cuddle up under. 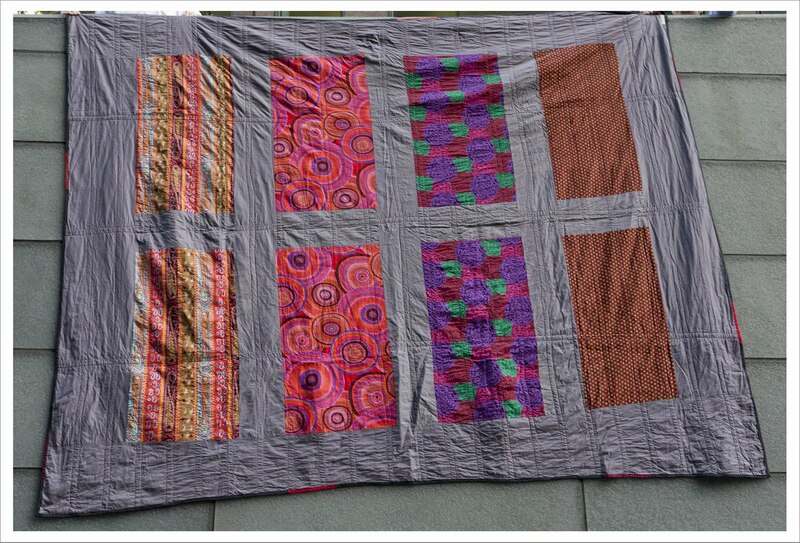 They wanted me to make the a quilt the size of 125 x 99 inches (or 3.2 x 2.5 m). At first I hesitated but then thought why not; it will be a challenge. And a challenge it was ! The design was achieved in collaboration with Claire. They wanted a minimalist design with large parts of solid reds and some pattern. 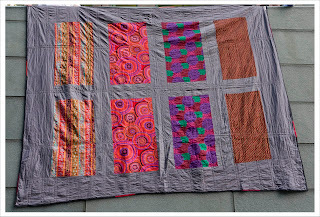 This quilt uses a lot of Kaffe Fassett, Philip Jacobs, colourshots from Fasset and Oakshotts and other prints from my stash. The red solids are all Kona and the grey from the back is Kona Coal. I live in a small Cottage in the UK and the biggest challenge wasn't the sewing of the curves or the piecing (although that got increasingly difficult the more fabric was added), no it was the basting as I had nowhere in the house where I could lay it out flat in its entirety. So I basted it in three stages rolling up the parts that didn't fit on my floor and taping it very tightly to the floor. Surprisingly this worked and I had no problems later when quilting. The quilting is kept fairly simple to keep with the minimalist desig and that I could still do it on my Janome Horizon. Throughout the process I re-christening it affectionately "The Beast" ...............for good reason. 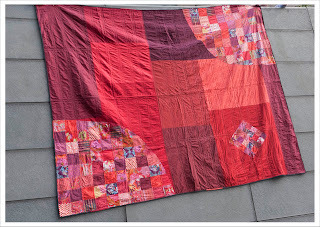 I remember looking at this quilt a while back and drooling, might have been on Flickr, and I still think it's awesome but I didn't realise you quilted this monster on a domestic sewing machine! You utter hero!! What an achievement! 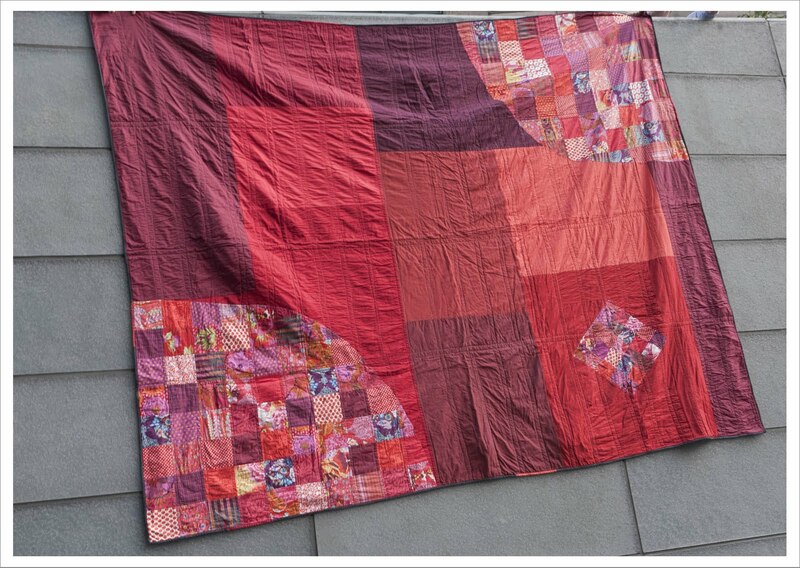 Such a big quilt. I love the colors. 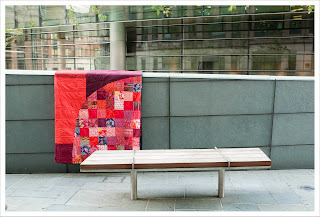 Great quilt Judith, huge labour of love, and I love the arty setting for your photo shoot. this is beautiful and I am glad you shared it for all to see, again. 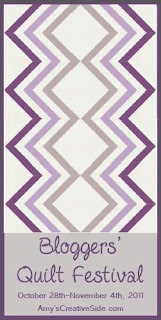 Oh, these are great sultry colors/fabric! Hi! 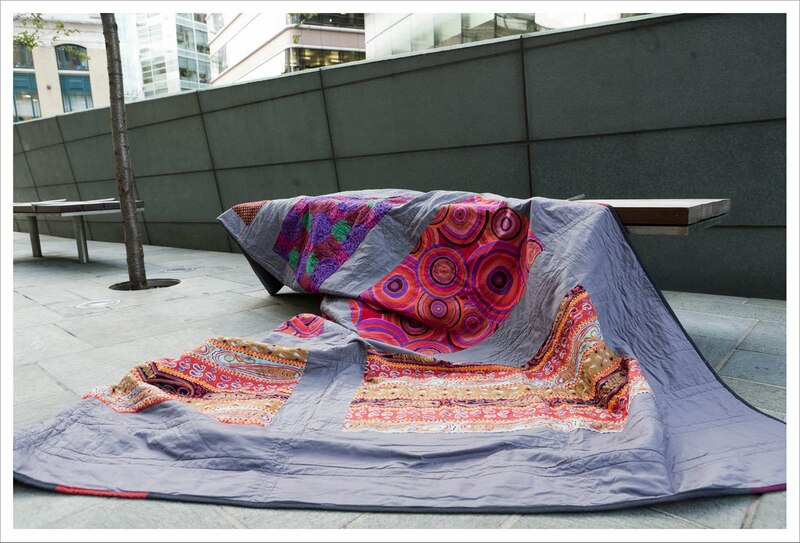 That is a fantastic quilt! All those reds and greys look really good together! Great photos, too! I remember seeing this before and loving it. Great colours! I still love this quilt and it is so nice to see it in the festival! 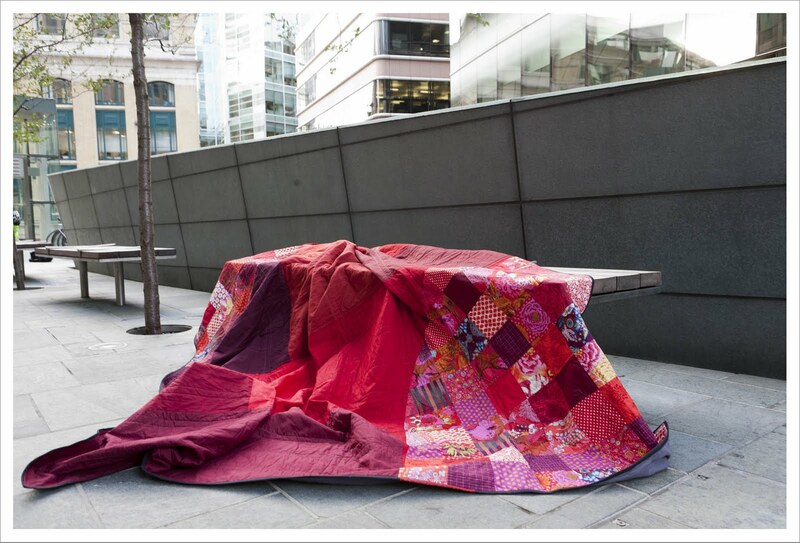 The colours in your quilt are absolutely fabulous and you did a brilliant job designing it and making it. Love it! I'm so glad you picked this for the BQF as I got to swoon over it again - stunning! Gorgeous rich colour! Great photos! Lucky friends! Hello, I am visitng from Lily's Blogfest. YUM!!!!! How clever the rounded corners of littlwe squares!!! SO BIG! Maybe a "beast" is not enough...BEASTLY BEAST?? ?